Sometimes, students have questions about the many aspects of Yogic methodology, philosophy, and history. While there are many books in print, there is no single book that can present an answer to every question. 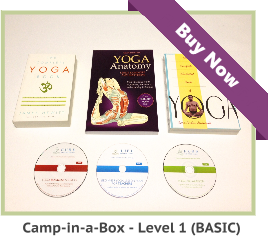 No single book, video, website, or Yoga instructor certification course can give you all the answers. So, what do we do? The answer is continuing education and research for life. At the very least, our minds will be sharp well into old age. Although the practice of Yoga has been around for 5000 years, the modern Hatha styles, that we experience today, must be different than what was in earlier times. The fact that it is still based in ancient practices, yet has managed to evolve and stay ingrained into the world’s culture for so long, is a testament to its powerful influence. Many of the postures we practice today were discovered hundreds or thousands of years ago and have flourished, due to cultural changes and movements, brought to us through influential Yoga teachers. Studying the history of Yoga is a fascinating journey that both beginners, and those who have been practicing for years, should experience in their own ways. In order to become a better teacher or student, it is recommended to study the movement from the time of the ancients through modern times. Doing so can help to enhance your practice and help you to draw more from it. Studying the history might help you to have a deeper understanding of how to enhance your specific mind-body connection, so that you are getting what you need from your practice. It can help you become more prepared as your body and your emotions evolve. In ancient times, Yoga was practiced for more than just a way to get into shape physically; it was seen as a way of life. It was also not as easily accessible by the mass population, as it is today. Priests, who spent a lot of time meditating, practicing mantra, and reading or writing scripture, needed to practice asana and pranayama for their health. Bringing it westward, and opening it up to all people, is one of the main reasons it is still so widely practiced today by people all over the world. Yoga asanas help to unify us as well as strengthen our bodies. It is a practice that helps to connect us to others, and gain a deeper understanding of ourselves, in ways that we would not have otherwise. Much of the Yoga we see today has been pioneered and brought to us by modern masters, who studied quite diligently under Sri Swami Tirumalai Krishnamacharya. This path of the modern masters was guided very early on by T. Krishnamacharya, and he encouraged his many students to think for themselves. Many who are interested in exploring the long and pervasive history of Yoga start with the Bhagavad Gita, an ancient text about the practice. Although there is little doubt that the Yoga asanas of today have evolved throughout the centuries, it is still a very relevant form of exercise and meditation that is known for developing discipline through strengthening the mind-body connection. 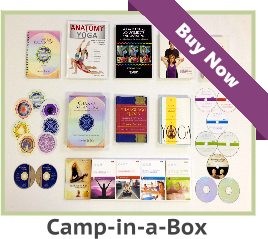 If you want to learn more about the history of Yogic practices, you may want to visit a Yoga teacher certification resource. The yoga asanas today that we are practicing are modified to the extent that we can do. There are good ancient texts viz.SEETHARAMA ANJANEYA SAMVADAM the conversation between Seetha Matha and Sri Anjaneya Swamy, Srimad Bhagawad Gita more in 6th chapter are the known ancient texts. However Hatha Yoga Pradeepika and Gheerenda Samhitha are most important books, which are more than 600 years old. You will find all the Asanas and Cleansing techniques that what we are practicing today. To conclude the birth place of Yoga practices is Bharath now known as India and world wide it is accepted. My humble request to Aurawellness is to verify properly before they make any statement as I also regularly go through your mails and find many of them very interesting and good. Studying the history of yoga asanas help us to have a deeper understanding of how to enhance our specific mind-body connection. Thanks for posting this good article. 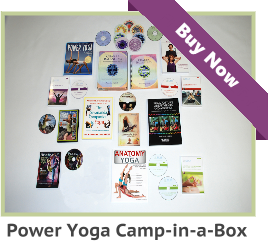 Yoga asanas help to unify us as well as strengthen our bodies. Thanks for sharing this valuable article.